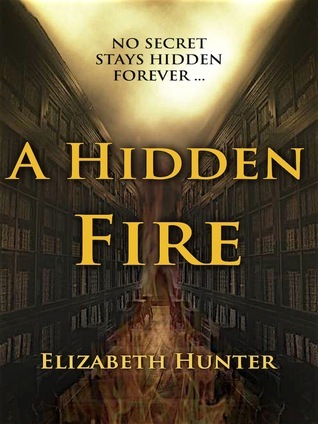 We are so excited to have Elizabeth Hunter, author of A Hidden Fire, to be a part of our blog today! She is sharing some great and creative ideas on how to spice up your Halloween party! 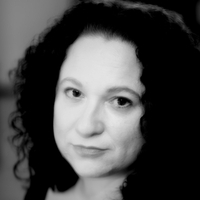 Elizabeth Hunter is the author and publisher of the Elemental Mysteries Series. She is a graduate of the University of Houston Honors College in the Department of English (Linguistics) and a former English teacher. Someday, she plans to learn how to scuba-dive. And maybe hang-glide ... but that looks like a lot of running. In my book, A Hidden Fire, one of the first times that Gio and Beatrice meet outside the library is a celebration for Dia de los Muertos. While many in the Southwestern United States are aware of this unique Mexican holiday, its popularity is growing, and many places around the U.S. and Canada now have their own Day of the Dead celebrations around Halloween. If you are looking for a way to give your Halloween party a unique and beautiful twist, here’s five ideas to incorporate some elements of Dia de los Muertos into your party! Take decorations to the next level. Instead of the regular old cobwebs and gravestones that most parties feature, try using traditional elements like skeletons, crosses, roses, and marigolds. Use the saint candles available in many markets to add atmosphere. You’ll give your party a different look and avoid finding those pesky cobwebs all over the house for the next six months! Choose some different background music. Looking for something different that fits a Dia de los Muertos party? You may not be a fan of mariachi, but have you checked out Julieta Venegas? How about Daniela Mercury? Juanes or Bacilos? There are so many Spanish or Portuguese-language artists out there, you just might find a new favorite, even if you do need to translate the lyrics. Who needs a mask? Face paint is beautiful! Forget the same old costume, dress as a calavera (“skull”) by copying some of the elaborate and beautiful face paints you can find online. Wear a black or white outfit, put roses in your hair, and dress like as La Catrina, a beautifully decorated skeleton featured in Dia de los Muertos art and symbolism. Keep it light and fun! The whole point of Dia de los Muertos is to celebrate the dead, instead of mourn, so keep the party light by asking friends to tell their worst jokes or most embarrassing stories. Have a funny poem contest or watch a movie featuring black comedy like Death Becomes Her, Beetlejuice, or (of course) The Nightmare Before Christmas. Eat tacos. Why? Is this even a question? Tacos are delicious and make perfect party food! Yum. Humor, fear, and love? Sounds like the makings of a great book to go along with a great party! Have a fabulous Halloween, and I hope you check out A Hidden Fire, at Amazon and Barnes & Noble right now. 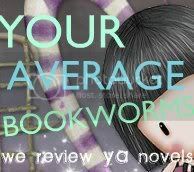 For more information about my books, please visit ElementalMysteries.com! "No secret stays hidden forever ..."
A phone call from an old friend sets Dr. Giovanni Vecchio back on the path of a mystery he’d abandoned years before. He never expected a young librarian could hold the key to the search, nor could he have expected the danger she would attract. Now he and Beatrice de Novo will follow a twisted maze that leads them from the archives of a university library, through the fires of Renaissance Florence, and toward a confrontation they never could have predicted. A Hidden Fire is scheduled to be released on October 18th (that's today! ), so hurry and get your own copy!